Well it’s definitely spring! 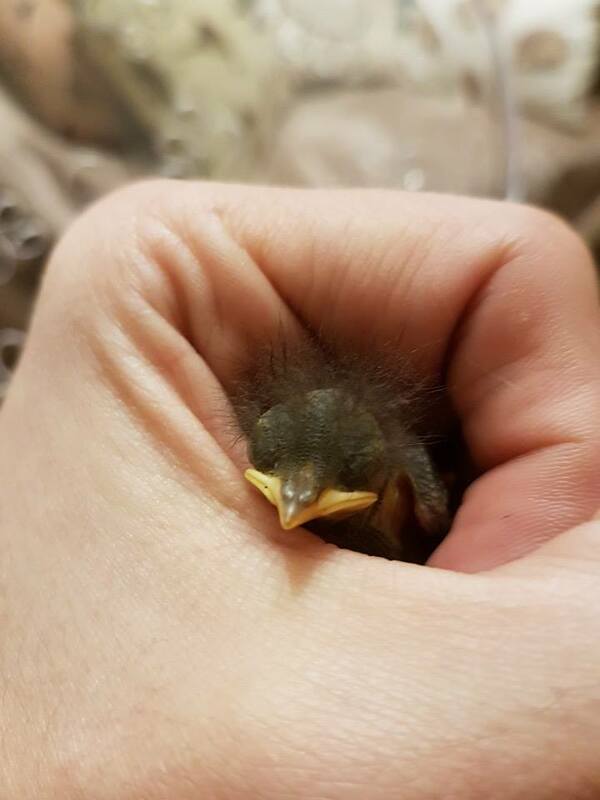 The weekend saw us have our first two baby birds come into care after being caught by cats. Both of them have nasty wounds and were freezing cold when admitted. Weekend Manager Chris took them home and warmed them up and looked after them overnight. Fingers crossed they will survive but it’s going to be tough. 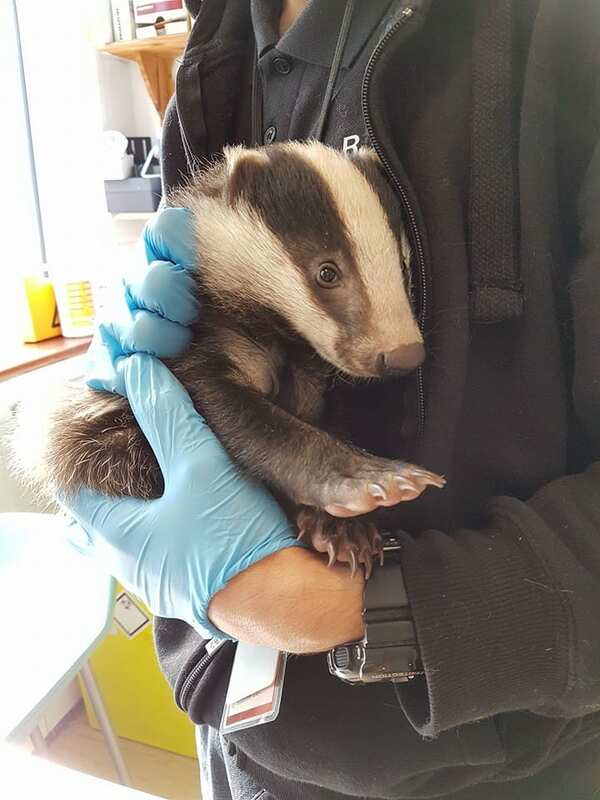 Rescuer Tony has also been out to a badger cub in Seaford who had been picked after being found wondering with a limp. The badger has been taken up to Folly Wildlife Rescue who have a lot more experience in badger cubs than us. 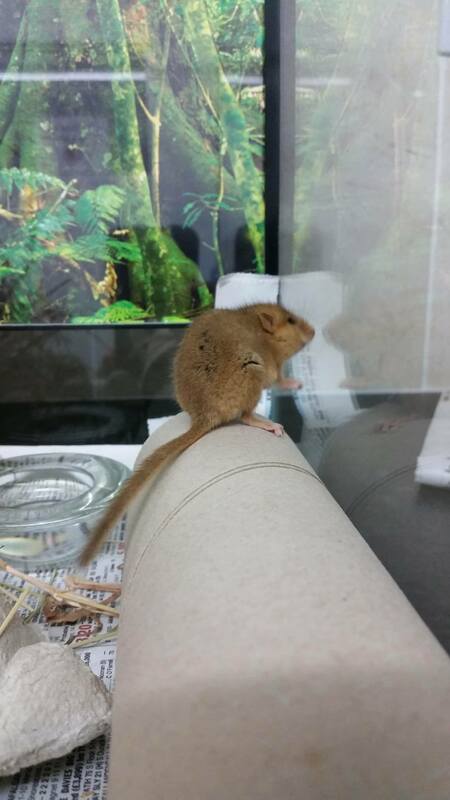 We have also have in a beautiful ginger dormouse which was delivered to the Raystede Centre. They have passed him to us for care. It turned out he has also been caught by a cat so is in the process of being treated for his injuries. Last week we had three fox cubs found under a board and garden rubbish in an old disused fish pond in a garden in Langney. The owner of the property went out to clear away the debris and discovered the cubs and saw mum run off. 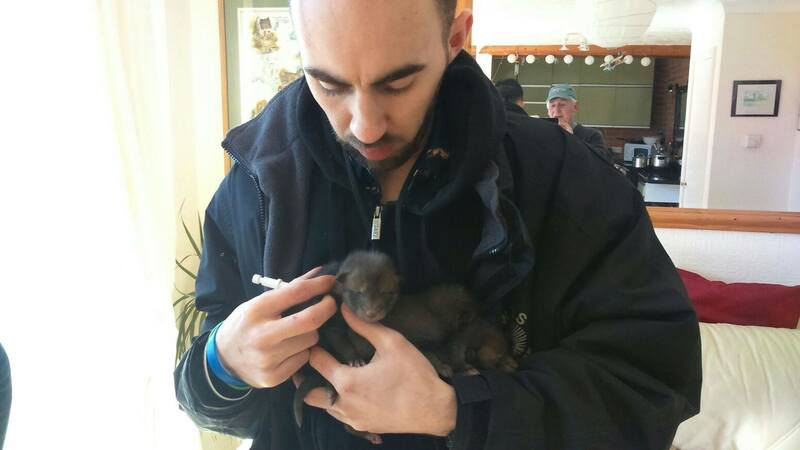 Rescuer Chris attended on site to assess the situation and decided that due to the amount of disturbance the cubs should be picked up checked over, and an attempt made to reunite them with their mum later in the day. I checked them over and found that they had nice full tummies, and were in a very good condition. About 7pm Chris and I took the cubs back to the garden in a plastic tub with heat pads in the bottom and covered by a towel which they had been wrapped in all day to get as much scent on to it as possible. We left this on top attract mum. Amazingly within half an hour of us setting up the mum appears, and it was clearly mum looking at her teats. She was very nervous. The owner of the property had given us a dead line of 10pm as they needed to go to bed, and there was no way out of the garden other than through the house, so we had a three hour window to work with. Every five minutes or so she would appear and get closer to the old pond and our plastic tub but as it was so windy she was easily frightened. It was not long before she realised where her young were. Chris and I were sat inside a summer house in the dark being as still as possible watching through the windows. The closer we got to 10pm the closer the vixen got to taking the cubs. We phoned the owners and asked for an extra 30 minutes. But it was clear she felt too exposed and vulnerable jumping down on to the patio to take the cubs. I had the dilemma of ‘do I go out move the cubs and risk frightening mum away or do I leave them alone and risk mum not taking them before our deadline?’ We heard the vixen jump over the fence, so as she was out of sight we decided we had nothing to lose so I moved the cubs out of the tub and onto the bank with just 20 minutes left. Within 5 minutes she was back and soon spotted them and straight away was picking them up and taking them away one at a time. We were able to watch this and record it using our children’s night vision scope, which you can watch on our You Tube Channel at www.youtube.com/user/eastsussexwras. 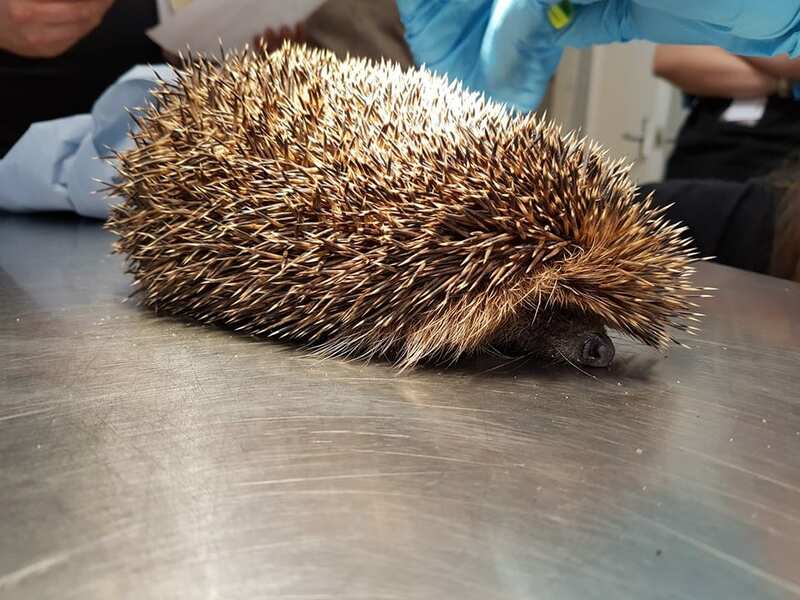 Last weekend turned out to be very busy with a hedgehog admitted from Hailsham with injuries to its back; there was also a young calcium deficient collared dove from a vets in Uckfield which had a tick on its head. He is now with Kathy at home along with two of our dovelets currently in care with Kathy, of which one is from Eastbourne and the other from the Kings Head pub in East Hoathly. 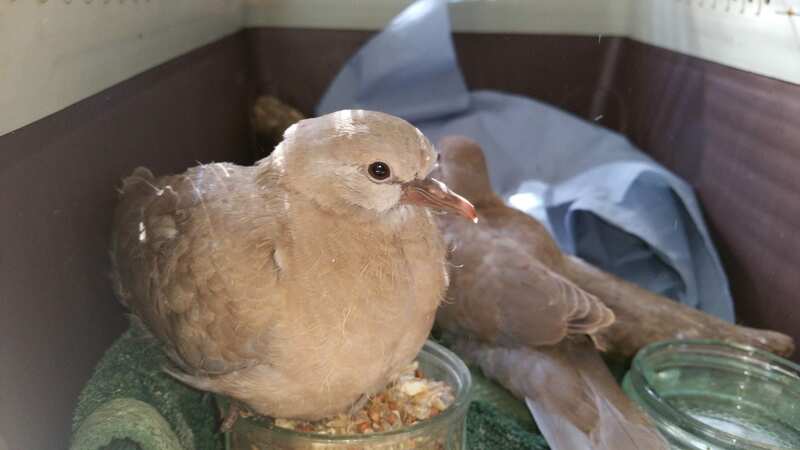 There was also an underweight dove from Herstmonceux, a beautiful but underweight pigeon from Eastbourne, a young rabbit caught by a cat from Eastbourne, a chaffinch which has come into care from Pevensey, a road casualty blackbird. 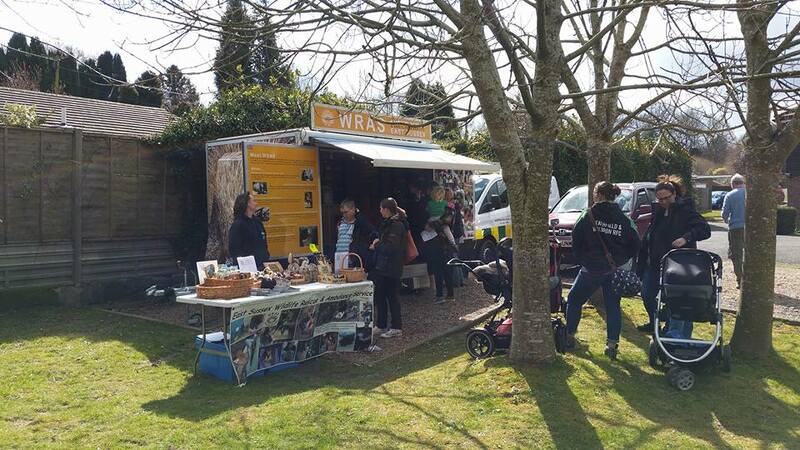 WRAS’s new Educational Trailer sponsored by Animal Friends Insurance was at Selby Meadows in Uckfield last week it was really nice to meet so many people keen on being outdoors and in a little oasis. It’s great to see the community coming together to achieve a little nature area like this. We are running another one of our Unusual Quiz Nights at East Dean Village Hall on Saturday 7th May. These quizzes are great fun, where you have to touch, taste, watch, listen, and smell items to win. The theme will be Summer Holidays. Tickets are £10 per person and include a free meal. Team can be up to 6 people. Doors open at 7pm, food served about 7:30pm and the quiz starts about 8pm and all proceeds go to East Sussex WRAS. To book just call 01825 873003. An award winning community charity.